A 28,000-bushel wooden grain elevator at Rossendale, on the CNR Pleasant Point Subdivision in what is now the Municipality of North Norfolk, was built in 1916 by the Grain Growers’ Grain Company, predecessor of United Grain Growers. 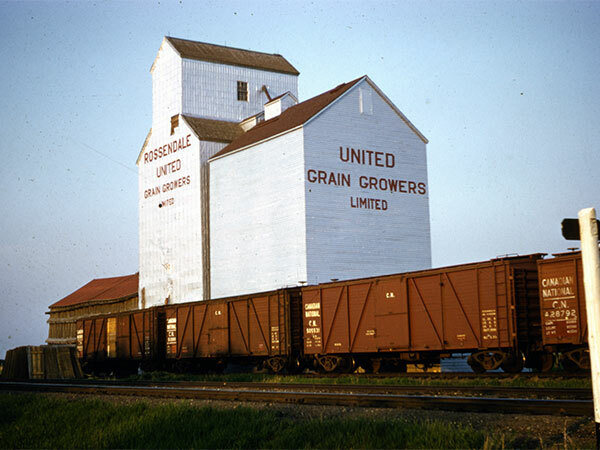 Over the years, two annexes were built to increase its capacity, a 25,000-bushel balloon annex in 1951 (demolished around 1970) and a 30,000-bushel crib annex in 1954. 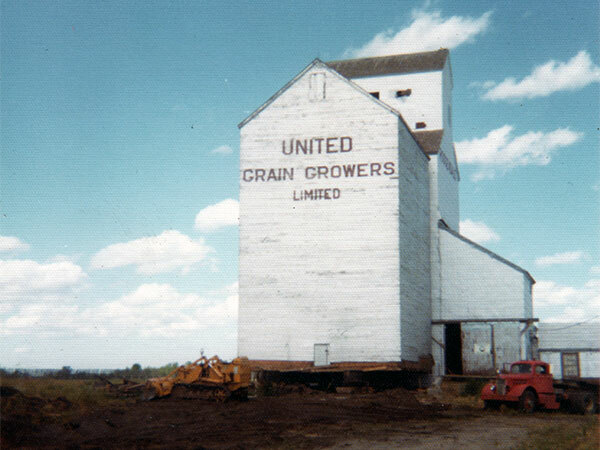 Closed in 1975, the elevator was demolished three years later while the crib annex was moved to the Baker Hutterite Colony where it is still in use. “Mr. Harry Brisbin enters into rest,” Miniota Herald, 14 May 1964, page 1.